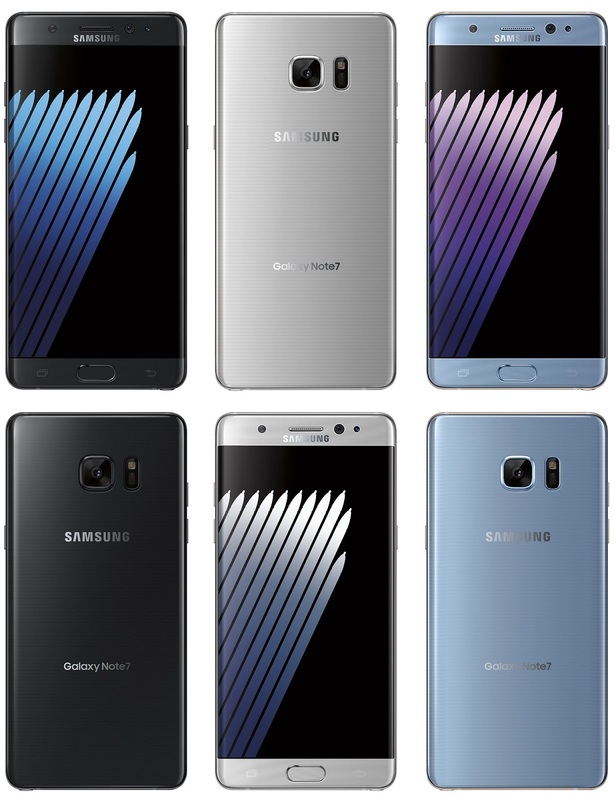 As seen in previous leaks, the Galaxy Note 7 appears to take several design cues from Samsung current and previous flagships, specifically the S7 Edge. Just like that “almost flawless” smartphone, the Note 7 has curved edges on either side of the screen as well as on the back. And just like previous models this is yet another metal/glass build, however there are some slight tweaks. For one, it seems that the back panel will include some sort of striped design under the glass. Another change in this model is the extremely thin, nearly non-existent bezels on the display. While yes, this is due in part to the edged display, it does look — at least based on these images — like the bezels are even thinner than those found on the S7 Edge. As for color variants, Blass shows off three options: Black Onyx, Silver Titanium, and Blue Coral. We were first introduced to Black Onyx on this year’s Galaxy S7 family while the Silver Titanium has been around since last year’s Note 5. Blue Coral is something new, and speaking personally, I quite like it. The top bezel leaves space for the seemingly confirmed and long-rumored iris scanner as well. Everything else shown in these renders pretty much confirms what we’ve seen in past leaks and renders. Excited? We should only be about a month away from Samsung’s official Note 7 announcement, so there’s not much longer to wait!